I’ve come down from the tornado. The house has landed with a thud. Silence. Heart stopping nothingness. I’m getting ready to open to another world, leaving behind blacks and greys to sparkling blues, reds, pinks, yellows, greens. The sky will be endless, the grass will wave in the wind. Black and white will turn to the silver white lining around the cloud that sunk me – sunk me for years. I will fold into a new dimension. Just you wait and see. Behind the scenes, I’m working on building something in the writing community that will help others find the motivation to create. In order to do this, I’m being coached by some spectacular coaches who are helping me find my corner of Oz – or at least – a vivid world of understanding, confidence and know-how, in order to spread the word. If you read this blog, and find my motivational writing to be preachy, please know that I’m just getting my feet into the earth. I’m churning out ideas and conjuring up feelings to share to the writer who thinks he/she can’t write. It’s coming along – behind the curtains – where I’m building the switches and levers to design my vision. It won’t be a fake. I won’t be a wizard. But I will be there, fully equipped and ready to help anyone in need of getting their writing on paper. Students, Moms, hobbyist, dreamers. So, I’ve been spinning in my cyclone, waving at Auntie Emm as she whizzes by on a rocking chair, ducking the floating cows as I enroll in B-School, sit at the feet of marketing gurus, organize my goals and find people who need me to help them write. It’s crazy balls! I am blissfully overwhelmed. 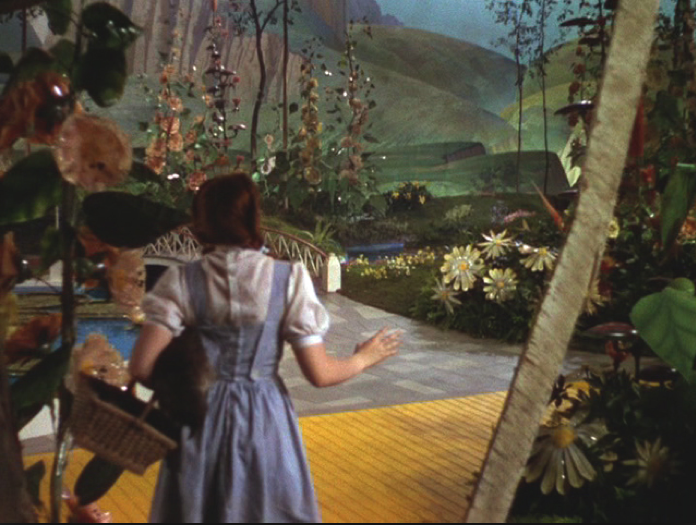 I’m currently in that moment when the house in Oz lands with a thud, and that extreme silence hovers in black and white, waiting to open the front door to a Technicolor world. Categories: Saturday Morning Confusion | Tags: The Good Write, Wizard of Oz, Writing | Permalink.